CBD is having a moment. For those who don’t know what these three letters stand for – it’s cannabidiol, a naturally occurring compound of the cannabis plant. Unlike its sister ingredient tetrahydrocannabinol (THC), CBD is non-psychoactive, so doesn’t cause the same ‘high’ after-effect. It’s also the more proactive, industrious sibling. CBD-infused oil is said to offer numerous benefits, from pain relief to reducing anxiety, and has even seen success in treating neurological disorders such as epilepsy and multiple sclerosis. For many, it has offered some relief where little has been found in man-made pharmaceuticals – a phenomenon that has been closely tracked in the media. The consumption of CBD has been increasing at an exponential rate – not just in terms of prevalence, but in its growing variety of forms and uses too. As expected (given recent legislative developments), this trend is swiftly proliferating across North America. But interestingly, it’s also spreading throughout Europe via a fast-rising number of both online and brick-and-mortar retailers. Despite its nascent stage, this niche market has developed swiftly. Many CBD products are carefully designed, exquisitely packaged, cleverly marketed and, as such, aimed at the sophisticated consumer. They are a far cry from the ‘stoner’ stereotype that many of us are long accustomed to. These products are aimed at consumers with high-flying careers, good wages and a mission to achieve wellness. From pricey ‘ingestibles’ to luxurious lotions, and all the handmade candles and organic juices in between, CBD is seeping into just about everything. The prevalence of CBD-infused products can be attributed to a shift in public attitudes. As more countries across the continent decriminalise cannabis for medical and/or recreational use, and as we concurrently witness even bolder moves across the pond, cannabis has begun to shake off its tarnished reputation. Thanks to its extending legality and media coverage, cannabis is becoming more socially acceptable and better understood therapeutically. While Europe has not experienced the same level of legalisation as North America when it comes to the entire cannabis plant, over the last year or so there has been a growing awareness about the merits of its fascinating component, CBD. Given that it can be sold legally throughout the region and has none of the intoxicating effects of THC, the market is by no means limited to those who consume cannabis recreationally. Within the beauty market, industry players are keenly exploiting this multipurpose ingredient. “CBD oil is known for its skin-loving properties – it provides powerful antioxidants, omegas and anti-inflammatory benefits, all of which can address the common skin concerns of inflamed, dehydrated and ageing skin,” said Ildi Pekar, a celebrity beauty therapist who has launched a range of products containing CBD. 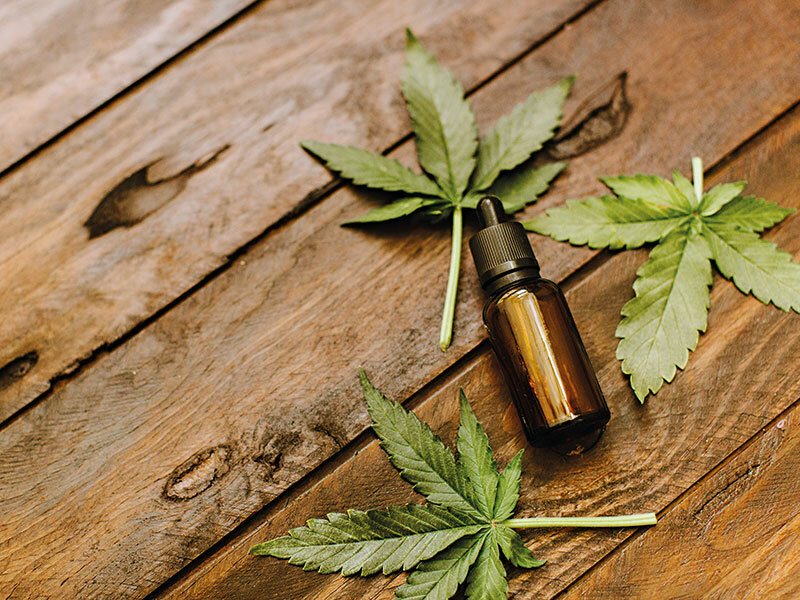 While the ingredient in cosmetics would have been practically unheard of just a few years ago, the benefits of CBD are now being discussed openly. “There has been initial confusion, but once people have been educated about the plant itself and its benefits for the skin, they gain clarity,” Pekar said. “The stigma of cannabis only stems from the THC component, which has mind-altering effects. If we focus on the medicinal benefits of the plant, we can see more of the physical benefits. I do see people being more open-minded about it.” This growing acceptance is reflected in the number of CBD-containing products now available. In Europe, we’re seeing anti-ageing creams (by MGC Derma), face washes (Perricone MD), relieving sleeping masks (PureKana) and a host of other products that can be shipped from the US and Canada. Those entering the still-nascent space are doing so with a deft marketing hand. Among the expanding cohort of CBD products now available, Lord Jones is perhaps the most stylish. Its products seem to epitomise the movement; shipped around the world, its edibles, oils and lotions are presented for a high-end audience. The logo’s baroque crest, the packaging’s gold foil touches and its minimal contents speak luxury. So do the prices: the brand’s ‘high-CBD dark chocolate espresso chews’, for example, which help “alleviate pain and anxiety, menstrual discomfort and migraines”, are sold in an elegant box of five for $30 (€26) – that’s $6 (€5) per mouthful. Lord Jones’ lotion, meanwhile, has become a celebrity favourite. Applied onto feet to prevent the inevitable pain that comes with wearing high heels, it has become a red-carpet must. At $60 (€52) a pop, the celebrity connotation has only added to the allure of this product. CBD-infused drinks are fast gaining traction, too. There’s the UK’s Botanic Lab, which, with its clean branding and modern design, has recently launched a non-alcoholic CBD drink that promises “Dutch courage with a difference”. 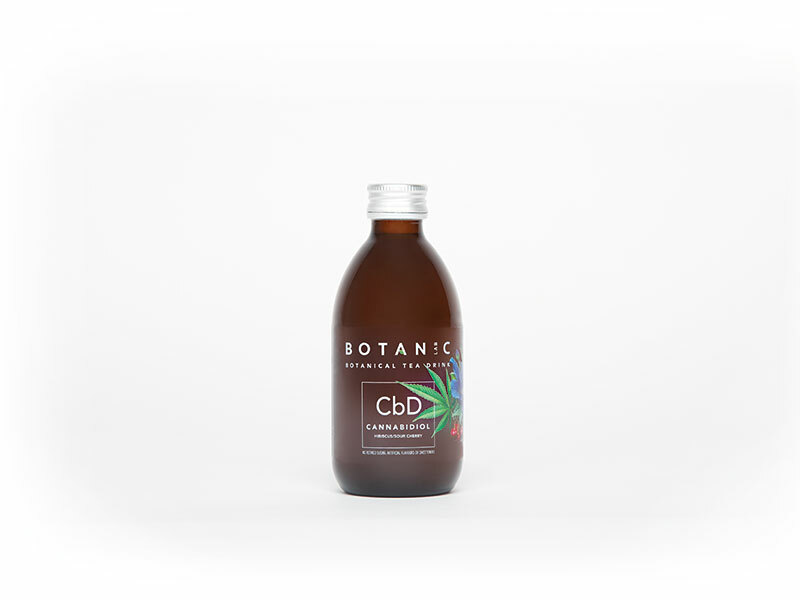 And though Love Hemp Water, Europe’s first CBD-hemp-infused spring water, was only launched in April, it has already found its way onto the shelves of big chain health and grocery stores, including Holland & Barrett, Ocado and Sainsbury’s. Then there’s Irish company Kamaceuticals, which offers the only organic hemp juice grown in Europe and is fast gaining ground. “The demand for hemp juice and hemp juice powder is growing, with intense interest from both the nutraceutical [pharmaceutical-grade nutrients and supplements] market and also the food ingredients market worldwide,” said Kate Mullaney, Founder and Director of Kamaceuticals. Mullaney explained why demand is swiftly increasing: “The principal benefits of consuming raw, organic hemp juice are manifold. There are all the nutritional benefits of an intense green food, it’s high in protein… chlorophyll, minerals such as calcium, zinc, iron, magnesium [and] selenium, and vitamins A, E [and B]… and of course the omegas. UK-based breweries, such as Cloud 9 Brewing and Stockton Brewing Company, are jumping on the bandwagon with cannabis-infused beers, while global heavyweights are also dipping their toes in this nascent market. In September 2018, Bloomberg reported that Coca-Cola was in talks with Canada-based producer Aurora Cannabis to develop CBD-infused beverages. A month earlier, Corona brewer Constellation Brands revealed an investment of $3.8bn (€3.3bn) to increase its stake in medical marijuana company Canopy Growth, while UK-headquartered Diageo (parent company of Guinness, Baileys and CÎROC, among others) is currently in discussions with various Canadian cannabis producers. A natural ingredient that can help with an array of ailments, from the small to the life-afflicting, is hugely alluring to the consumer – and not just any type of consumer. We’re talking about those who really care about what they eat, drink or apply; those who seek quality regardless of price. This is a particular cohort that continues to grow. With high-end wellness and natural trends now firmly underway and mushrooming, CBD is a perfect fit. And as legalisation continues across the region and beyond, the enthusiasm for the compound in its various forms is set to amplify, bringing forth new possibilities for luxury markets and willing players. The green rush has well and truly arrived.